Shrubs are essential for bridging the gap between a gardens' trees and its low-growing ground covers, says Texas A&M University. Tall shrubs can provide dark foliage backdrops for showy annuals and perennials. Groups of Texas' small flowering shrubs, however, can work alongside your other blooming plants to create a finished landscape foreground with contrasting or complementary colors and forms. Using the right shrubs can bring four-season vibrancy to your Texas garden. Bloody cranesbill (Geranium sanguineum) is a summer-blooming mounding shrub reaching 9 to 12 inches high. It's winter-hardy throughout Texas. The cranesbill cultivar 'Nanum', only 8 inches high, blooms more abundantly than its larger relatives. Its fern-like green leaves become bright red in the fall. From June to September, 'Nanum' has profuse cup-shaped purple flowers. Flowers and foliage, says Texas A&M, make this a good ground cover or border edging. Plant in full sun and averagely moist soil. Parry agave (Agave parryi) grows in central and southern Texas' USDA Plant Hardiness Zones 8 and above. Standing 3 feet high and wide, this succulent has a rosette of pointed gray-blue, toothed basal leaves. Leaf tips have sharp spines. Summer flowers emerge as pink or red buds, becoming yellow when they open. 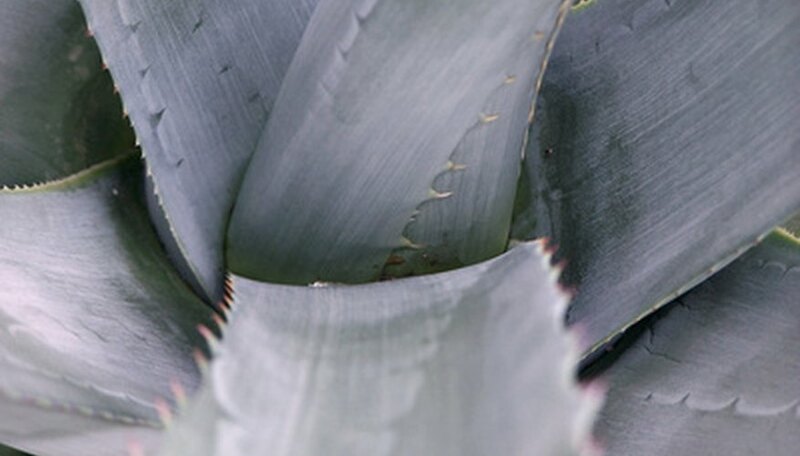 Plant heat-and-drought-tolerant parry agave as a small shrub in full sun and well-drained soil, according to Texas A&M. Poor drainage rots its roots. Watering plants in dry weather stimulates their growth. Feather dalea (Dalea formosa) is a perennial native to west Texas and hardy in zones 7 and higher (south of the Panhandle). Growing 3 feet high and 4 feet wide, the long-blooming 'Limoncilla' dalea cultivar blooms from March to September. Violet yellow-throated blooms peak after spring rains. Feathery plumes envelope the blossoms; combined with the shrub's delicate green foliage, they give 'Limoncilla' an airy appearance. Texas A&M recommends using drought-tolerant feather dalea as a shrub or ground cover. Plant it in full sun and alkaline soil (pH greater than 7). Canyon mock-orange (Philadelphus ernestii) grows wild in shady spots on the rocky cliffs of south central Texas' Edwards Plateau. Hardy in zones 8 and above, with a minimum temperature of 10 degrees F, this low shrub stands 3 feet high by 4 feet wide. Its arching branches have delicate gray-green foliage. In the spring, they bear heavy clusters of small white flowers with a spicy cumin-like fragrance. Canyon mock-orange does best in shade, advises Texas A&M. Plant it in a protected location with alkaline soil. How Do I Take Care of a Heather Plant in Texas? Which Outdoor Plants Like a Lot of Water? What Flowers Are in Season in January in California? What Shrubs Do I Plant in Mississippi?